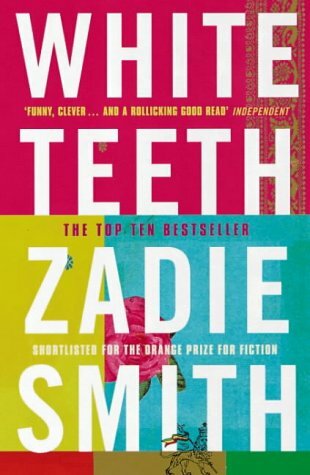 Perhaps deciding to read White Teeth by Zadie Smith this late in the year was not my wisest choice. I now need to complete two further books in order to meet my target of 40 reads in twelve months. Hubby suggested I borrow Child One's infant school readathon tactics and start on the Mr Men books! Though my next two reads will be less than 500 pages (I'm leaving Human Traces by Sebastian Faulks until 2018! ), I'm also keen to try and squeeze in a poetry anthology by Inua Ellams. Poetry has always been something I have enjoyed studying, but I have never managed to make that move to reading it for pleasure or relaxation. I do have favourites: Mother, Any Distance by Simon Armitage catches in my throat every time I read it aloud, so beautifully does it capture the love of a mother as her children leave home. And now I have found a new voice to enthuse about: Inua Ellams was recently at Norden Farm, our local independent theatre, and, in an intimate studio, he read from his work. form students are reading for a module with immigration literature at its heart, so we took a leap of faith and booked tickets for the class. To be honest, with a title like that, I was expecting it to be satirical, comical, light. And it was entertaining. Inua is personable and genuine and some of his stories made us laugh. He appeared on set in a Nigerian robe and bounced in to some African drumming. But there the stereotype faded. He punctuated the reading of his poetry with the most powerful autobiographical tales that made us want to weep both with him and for him. Having fled Nigeria for fear of their lives, Inua arrived in England aged 12 with his parents and siblings. The family were then defrauded of their papers and had to flee again, this time to Ireland. Here, they were subject to taunts and abuse. When his parents received photographs of his sisters on their phones, accompanied by threats, they had to move on again. By the age of 18, Inua was back in London but still without papers and without much hope. Now in his thirties, he tells a tale of immigration that is heartbreaking and real. The poetry of his experiences is rhythmical, beautiful and good. When asked how he could write with such generosity and love when he and his family have been so rejected, his reply was simple: if we cling to hatred and bitterness, that is what we become. Despite everything, love and compassion shine through his work. And I have another poem to add to my favourites, Dear Tina. It doesn't take much insight to realise that I am a bit disillusioned with the current education system with its emphasis on exams and assessment and constant monitoring of data, but I am so glad that I still have opportunity to take young people to events like this. That evening alone was worth more than an A-Level grade. Listening to the experiences of others broadens our horizons and increases compassion. The world needs to hear voices other than their own. And that leads me nicely to White Teeth. I confess I have looked at other reviews before writing my blog, something I usually avoid doing... but this novel is huge and I had no idea how I was going to encapsulate it. It was therefore something of a relief that professional reviewers had the same difficulty. This novel is an epic! It is 542 pages of family saga that centres around a friendship between Alfred Archibald Jones and Samad Miah Iqbal. It flits from past to present, and with the help of a Jamaican Jehovah's Witness mother-in-law, there is also focus on the future, or at least when the day of judgement will come. In the midst of all this variety there is a third family, the Chalfens. They are self-assured, middle-class and educated.They are so comfortable with their own world view that they have even coined their own abstract noun: Chalfenism! The plot is complex and, in places, bizarre. In essence it asks big questions: who are we and how do we fit in? How do we accommodate others? How do we seek our own contentment? Against a background of socially and culturally diverse Willesden in London, Zadie Smith focalises alternately on the two men, Samad and Archie and then their children, twins Magid and Millat and a daughter Irie. The book explores the experiences of second-generation immigrants and their families, but it is not a politically correct investigation of immigration. It seeks to tell you the stories of the array of characters and somehow weave them all together in a climax and denouement that is perhaps the weakest part of the plot. If I tell you that it involves a mouse and eugenics, a clash of science and religion, a gun and a fundamentalist group under the acronym KEVIN, then you will begin to see what I mean! For me the book was too busy to either fully absorb or enjoy. It is Zadie Smith's debut novel and I would be very interested to read some of her later work. If any of you have any recommendations for me, do let me know. She writes well, and she captures the messiness of life in which we all scramble around. The novel achieved critical acclaim and launched a highly successful career. It is her originality and fearlessness that impressed me the most. She dares to write what others might even avoid thinking. And for the record, my favourite character is Abdul-Mickey, the cafe owner of O'Connells! Now, off to read super-fast and achieve that elusive 40 in a year! I'm starting with Margaret Atwood's The Penelopiad, and I'm already a quarter through. With any luck, I'll squeeze in two reads and a blog before Christmas, so I'll save my festive greetings 'til then!